Jesus taught His disciples to pray a very special prayer beginning in Matthew 6:9 that we call the Lord's Prayer. Many people know this very popular Christian prayer off by heart as I am sure that it is the most recited prayer of all time. Jesus is very clear who we are to direct this prayer to... Our Father who art in heaven. Just before Jesus gives His instruction on what to pray, He tells them how to pray. He tells His disciples to find a quiet spot away from the hustle and bustle of life and just spend some quality time with their Heavenly Dad. 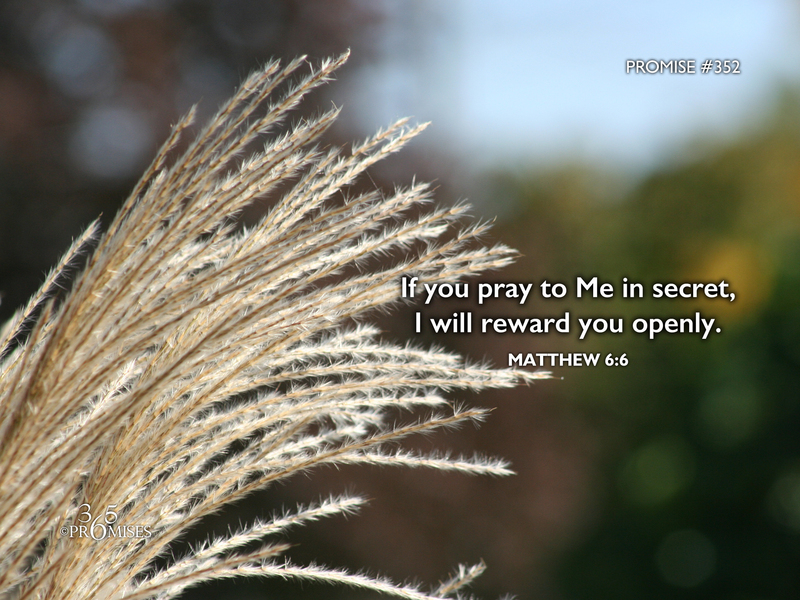 In today's promise, Jesus tells us that if we develop a secret, intimate prayer life with our Father, then God will reward us openly. I believe that our Father absolutely loves it when His kids come to Him when we are the only ones who know about it!